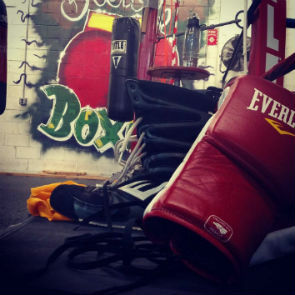 Boston Boxing & Fitness offers classes, weight training and personal training. A fully licensed, fully insured full-time Olympic boxing training center sanctioned through USA Boxing, Inc. The gym is equipped with over 1,500 pounds of free weights. The strength coaches will design personalized a conditioning and strengthening programs. Good for people interested in both competitive and recreational boxing. Utilize circuit training to improve coordination and conditioning. Hit the heavy bag, improve reflexes with speed bags and double-end bag drills, and one-on-one mitt work with a trainer in the ring. Sparring available after mastering proper stance, punches, defense and conditioning. Group classes taught by certified USA boxing instructors are available for all levels, and include a stretch designed to increase flexibility and prevent injury followed by a series of circuit training exercises to enhance coordination, strength and agility.